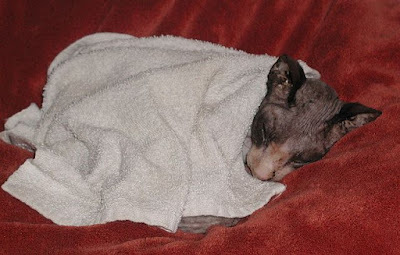 We are late posting today, but we never forget our sweet Angel Stinky. Hey all you tabby luvvers, Dezi here. 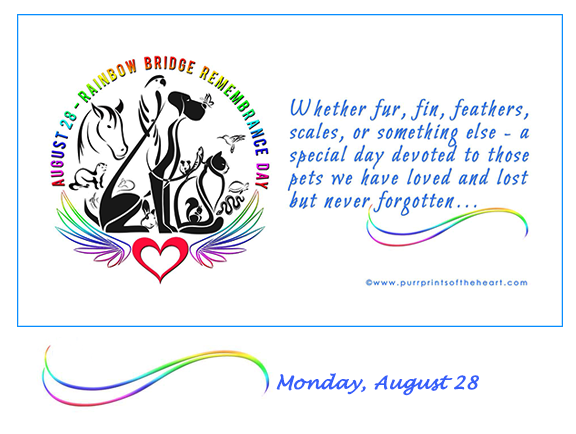 We're here today to celebrate those sweet tabbies who are no longer with us. 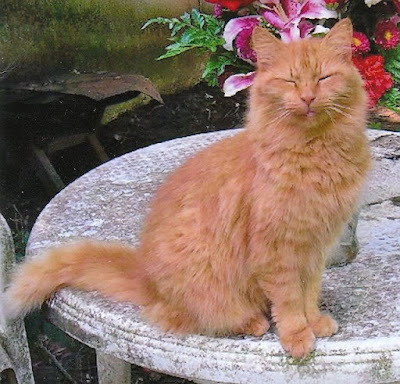 They're not the only ones being 'membered today, but we were fortunate enuff to have the very bestest tabby the world ever knew. Now, me knows you feel the same way 'bout your beluvved tabby, and that's okay. Truth is, the tabby cat, which is a color pattern and not a breed at all; is known fur bein' one of the bestest natured kitties on the planet. 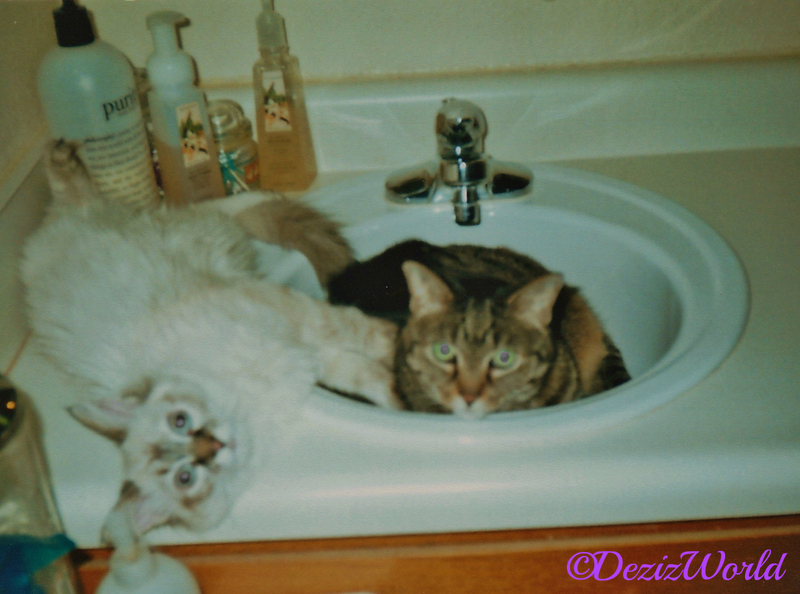 Me believes me's sweet sisfur Lexi was the bestest of all. She was never even s'posed to be mommy's kitty. That's right, sweet Lexi was one of the biggest foster failures ever. 'Course, mommy should'a known that was gonna happen the minute she saw that tiny little striped kitty layin' there in that shoe box clingin' to life. Mommy fell hard and fast and didn't even know it till it was too late. Sis Lexi and her littermates minutes old. 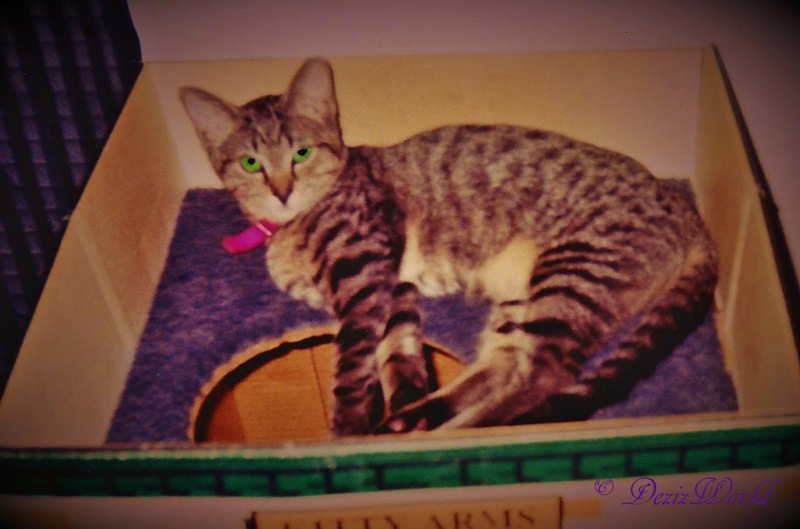 By the time somepawdy wanted to adopt sissy, mommy decided no home but hers was actually good enuff to house the little Empress. It wasn't 'bout money, cuz mommy didn't have any. It was all 'bout luv and devotion. 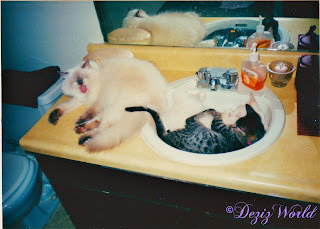 Sis Lexi luvved mommy as much as mommy luvved her. And talk 'bout devotion...those two finished each other's eveythin'. Mommy honestly never 'magined a day without sissy. Sis Lexi and mommy had known loss. 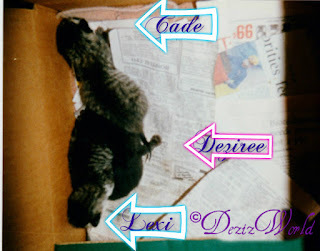 They lost sis Lexi's brofurs, 3 times over, but never considered a day they'd have to say goodbye. 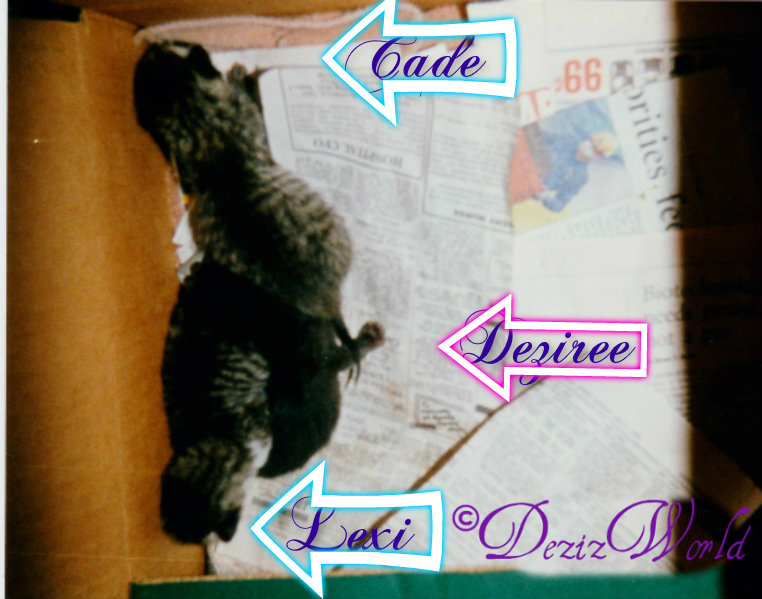 Me joined mommy and Lexi when sissy was 10 years old. Even at 10, sis Lexi was still young at heart. 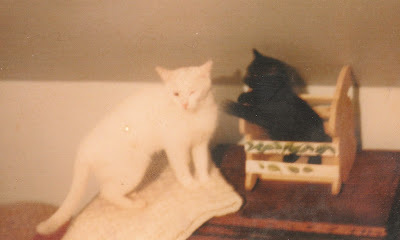 and let me tell ya' kittens, she sure 'nuff put me in me's place and let me know who was the boss. 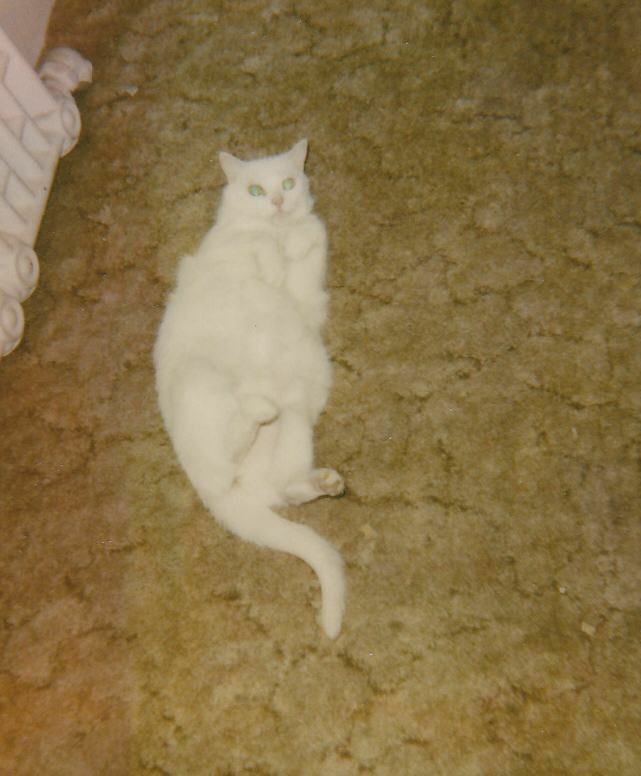 Even so, she was gentle 'bout it, and grew to luv me as much as she luvved mommy. She taught me so much 'bout luv and helpin' our mommy. She was the bestest Service kitty ever. And, the bestest sisfur ever. She was by mommy's side fur 17 years. Thru good times and bad times she never failed to make mommy smile. Till the day she could no longer fight to stay. Mommy and me were devastated. We still don't understand why God needed sis Lexi in heaven. Or why, He thought He needed her more than us. But, she's gone now, and all we have are the memories and the luv she left us with. Some days are easier than others, but we think 'bout her every day. 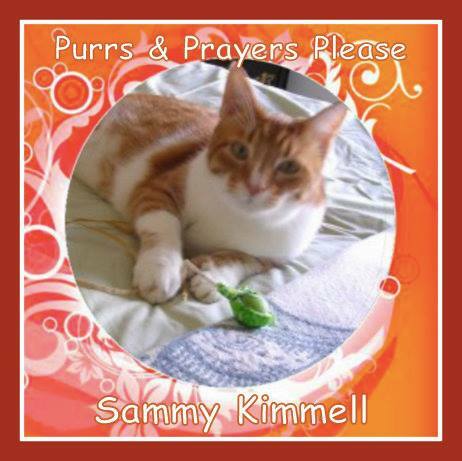 Each night when we say our purrayers, mommy's always sure to ask God to give sissy an extra hug and kiss from us. 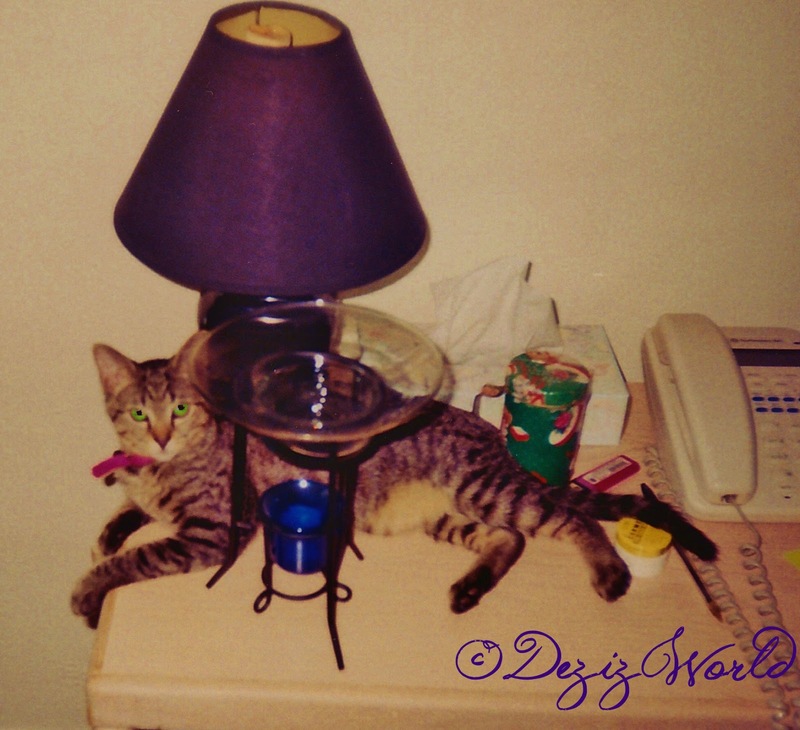 Tabbies.........God's marvelous little treasures. Some day another may grace our doorstep, but there'll fur sure never be, another like sweet sis Lexi. Good night sissy, we luv and miss you terribly. We'll see you again by the river of life, when the Son calls us home. 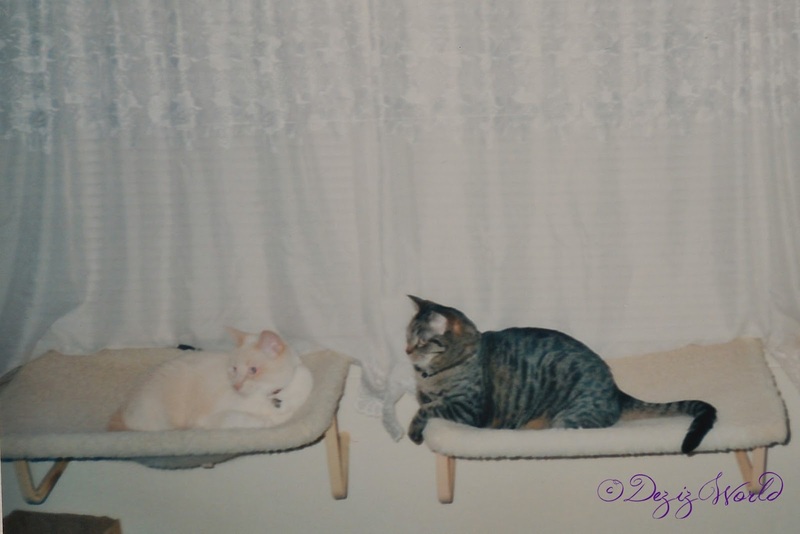 Thank you all fur lettin' us share a few of our memories of the great Empress with you. You can ketch up with me and me's new sisfur RaenaBelle over at our own bloggy, Deziz World. We share Training Tips, fun and adventure, and well, a little bit of everything. Hope to see ya' there. Till the next time......................................Be Blest!!! We remember them every day, but this day is set aside for SPECIAL thoughts every year. 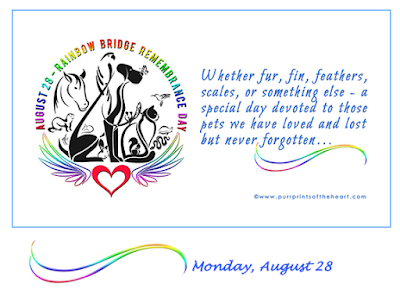 We all experience loss in different ways but thinking of our beloved fur-friends in a beautiful place called The Rainbow Bridge helps us think of them "starting over" - no illness, no old age, no sadness. Our love for those who are gone goes ON AND ON.........and we feel them with us every day until one day when we join them and are all together again. 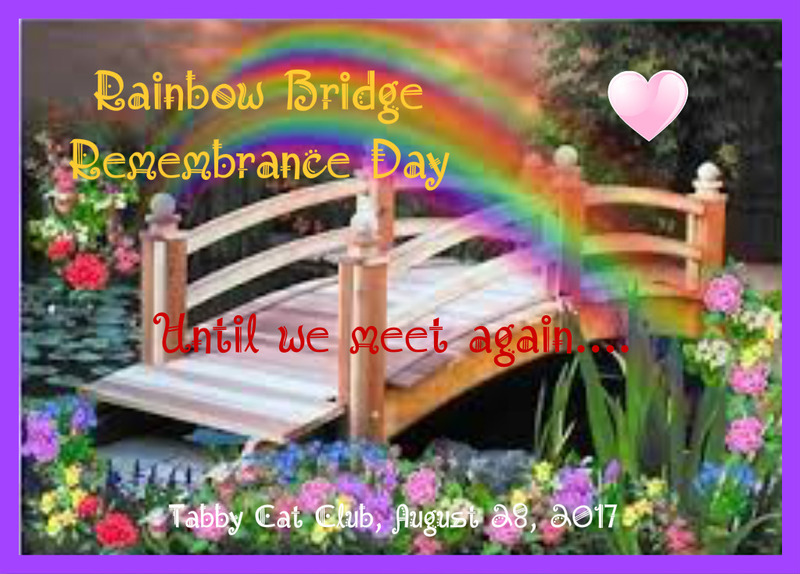 Thank you for joining in the Tabby Cat Club's special Rainbow Bridge Remembrance Day. 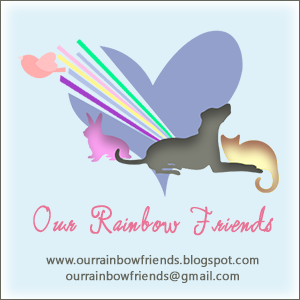 Please take the badge below to display on your blog if you like! Hi Tabby Friends. We want to remember our dear Angels who we miss dearly. Our Angels visit in our dreams and tell us about the happenings over the Bridge and also let us know about our friends are there with them. Amber was Dad's mothers kitty. 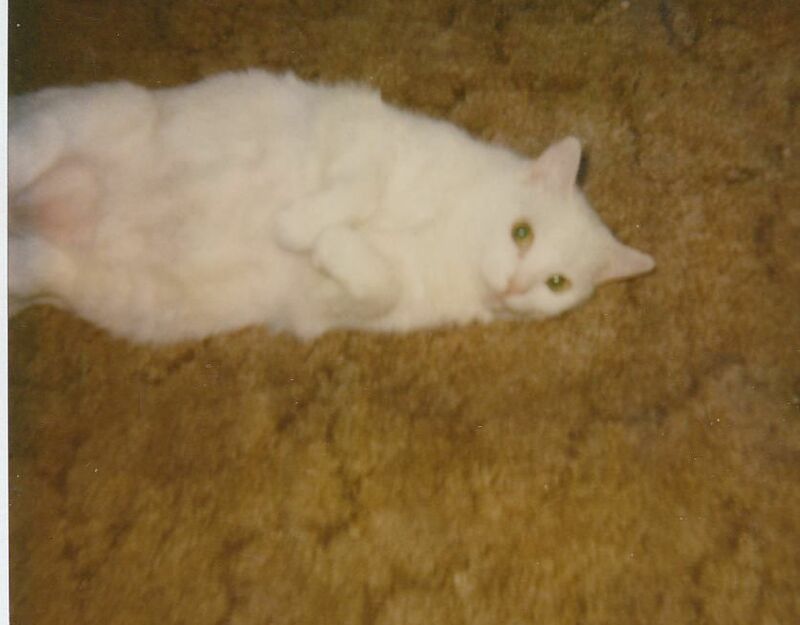 Dad adopted her after mom passed and kept her safe inside in her twilight year. She never saw clothes she didn't need to add her fur to! 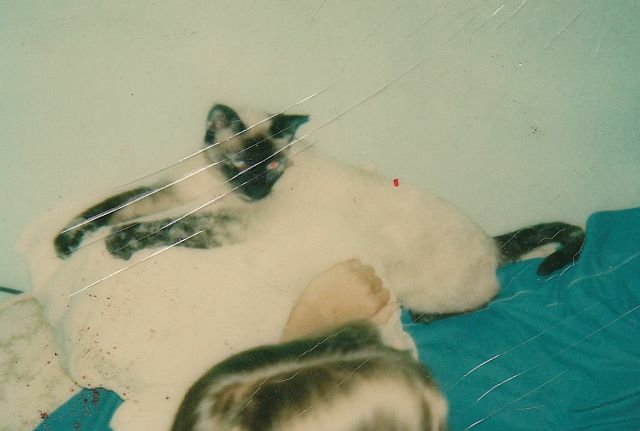 Stinker Big Head was Dad's ex's cat. 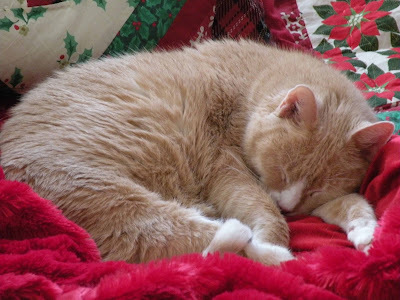 He came to live here when they moved in after Dad's accident in 1999. Here he is after a patrol. He would patrol the property every 2 hours rain, snow or shine. Bad luck for any animal he saw too Fitz. Yep. He would CHARGE and off they would go. Of course what he really loved was Dad! 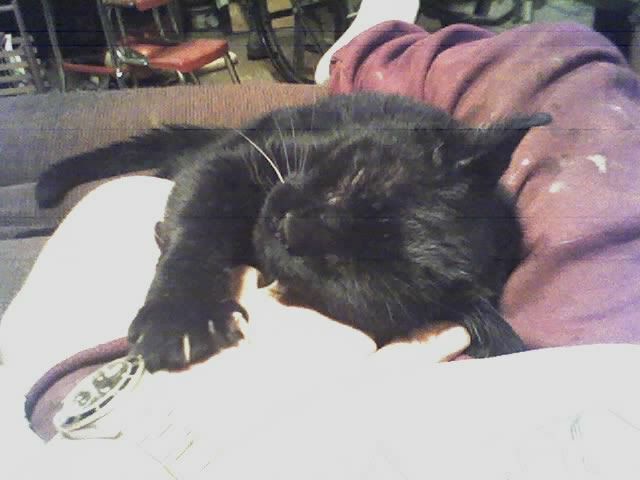 Every night he would get on Dads lap and purr like I do now. Coco was Dad's Mom's kitty. 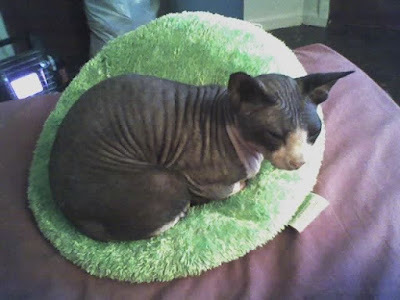 He was a Sphynx and loving as anything. 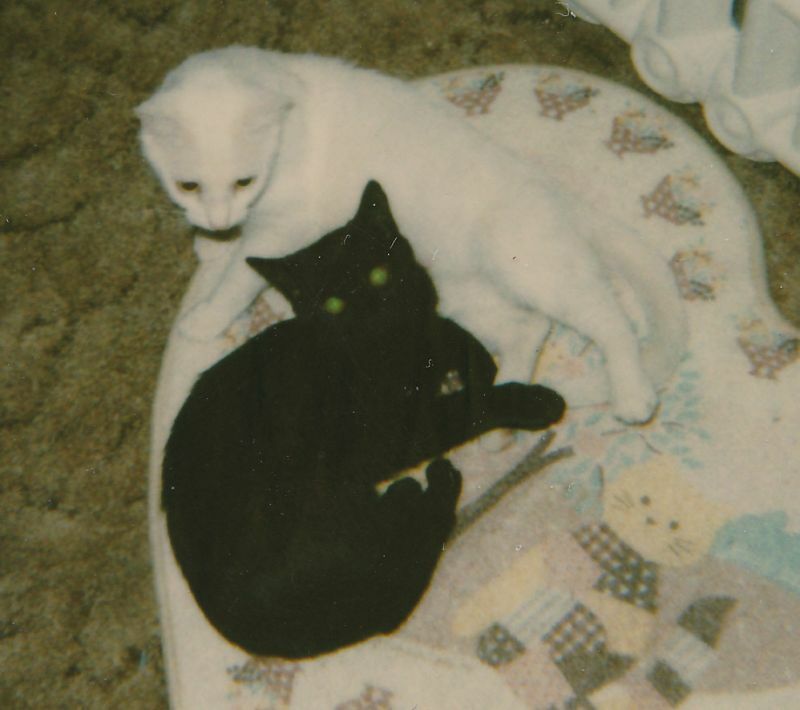 Dad had to insist he keep Coco as, sadly, his sisfur just could not keep him safe after Mom passed. Dad loved the way he would run under the covers and cuddle every night. He was a real cut up. Here he is playing with Toby! 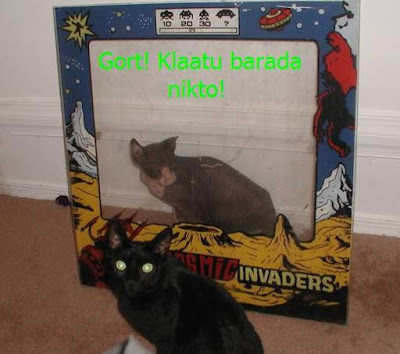 He was a funny kitty! Here is Inky. 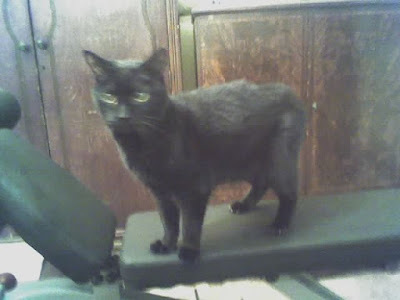 He was a thin little cat. Dad called him Big Ink or Bink. 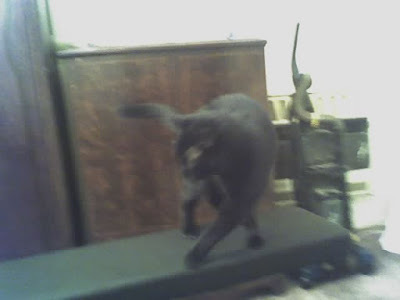 Here he is doing the Inky Dink Dance. He was a character. Why did Dad call him "The Self Petting Cat" Timmy? Well, he would rub like crazy on things but stay right out of reach when you tried to pet him. If you moved closer he would move off 6 inches beyond your reach. A funny boy. Ha Ha Ha that is funny! Here he is with Mama Pee Girl. He loved her so very much and she him. Pee took over as Dad's heart kitty after Ming went over the Bridge. She had a crushed leg that the SPCA "offered" to amputate. She had no pain so Dad said no. After about a year she started to put a little weight on it that gave her a distinctive little skip-walk. She ran on three legs when she wanted to make time and could really zoom. Here she is with Baby Inky. He was from her last litter. She loved being with kitten and when she could no longer have kits she kept him under paw. He was a real Mamas boy. 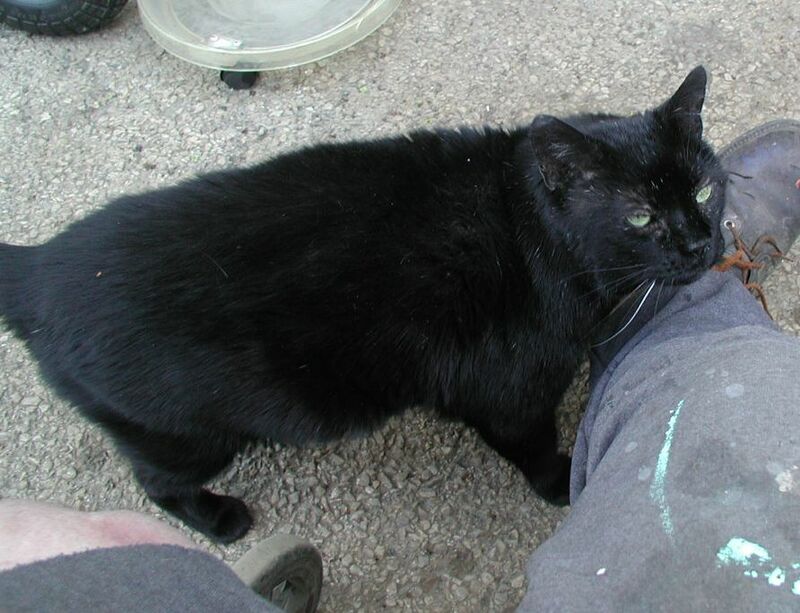 Here is Ming The Malevolent. She showed up one day after the family moved into this house. She was a total Huntress who insisted on showing all her catches to Dad. He got her name from the Flash Gordon TV Show. She once jumped six feet into his window with a rabbit almost as big as she was. Yes. Also, if she did not like one of his friends she would bite, not a normal get away bite, but, to the bone. All his friends were in fear of her. She would poop in girls shoes if she did not like them. After my own heart girlfriend, MOL. 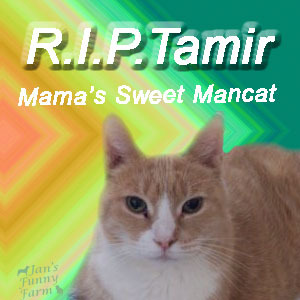 Today we are remembering our sweet Angel Tamir. 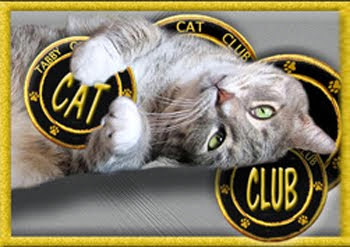 He was a proud Tabby Cat Cub Member and a loved member of our family. Sure miss him a lot.